Now, one must be very bold and confident in order to claim oneself as the best. In addition to that, others would expect them to live up to their self-acclaimed title. In this case, I believe Footscray Best Kebab House has fallen a tiny bit short from the “best”, as I’ve had better kebab plates from other restaurants. Don’t expect anything fancy from this restaurant… I mean after all, it is Footscray. This place is just plain, simple, authentic. The staff was slightly unfriendly but maybe it’s because of the 30 degree heat. Don’t get me wrong, the food was still delicious and I finished every spoonful. I guess I’ll just have to come back another time to try their actual kebabs and see if I can be proven wrong! 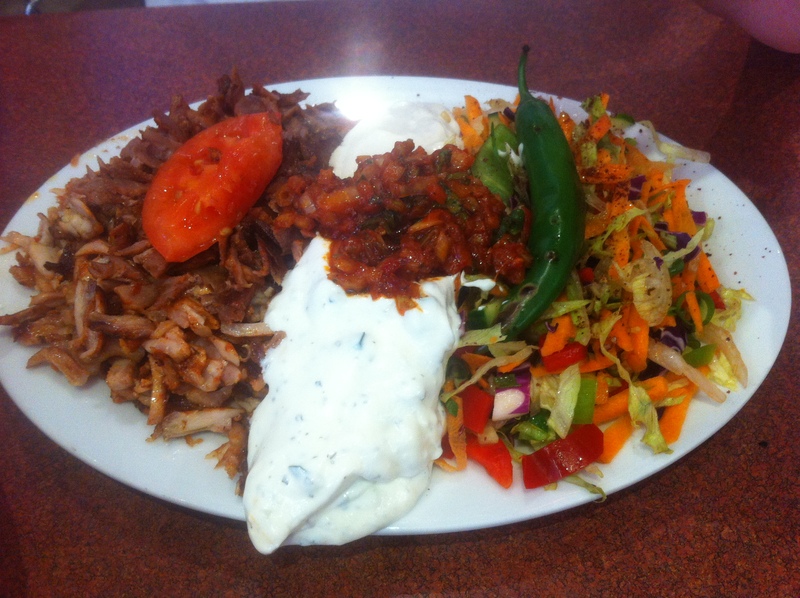 Small kebab plate ($13) – your choice of meat, 2 dips w/ salad and turkish bread. I opted for the lamb & chicken w/ cacik and red capsicum dips. The dips were delicious, particularly the red capsicum which had a nice sweetness to it. 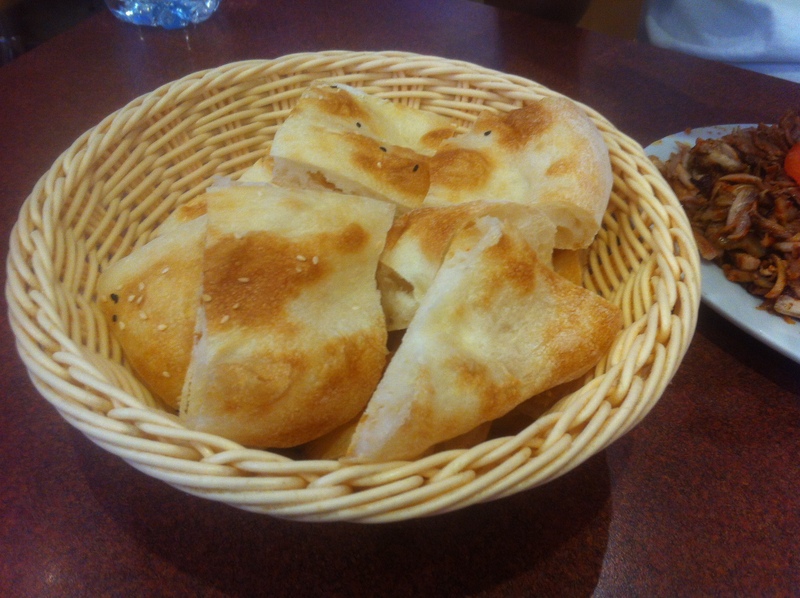 The turkish bread was definitely one of the best; it was fluffy, light and chewy whilst still retaining its crispy exterior (heavenly!). The salad was a bit of a letdown as it was too salty, however that faded when eaten with everything else. I would’ve preferred to have the dips separate from the salad to preserve its freshness and the meat to be cut in thin long slices instead of shreds because it tends to be a bit dry but that’s just me being picky. Overall, a comforting and generous meal that leaves you satisfying full and happy! 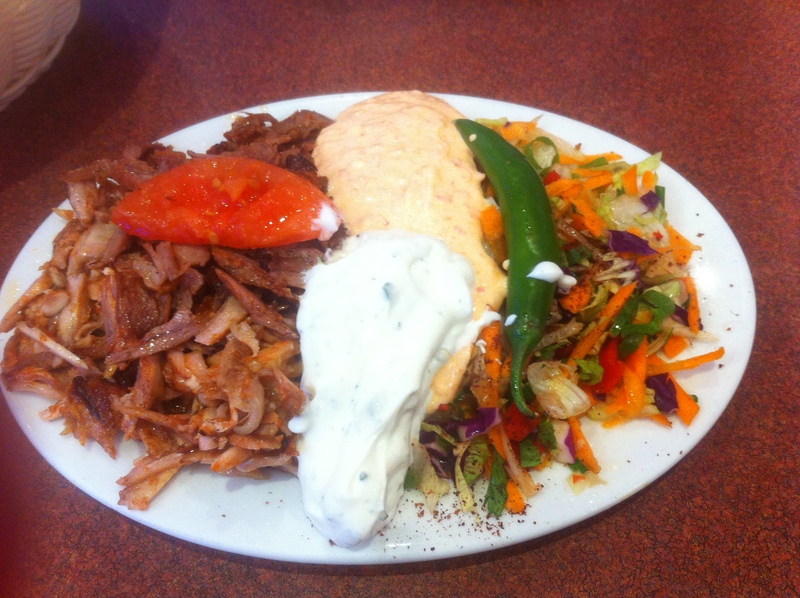 Large kebab plate ($15) – your choice of meat, 2 dips w/ salad and turkish bread. A.T went for lamb & chicken w/ cacik and hot chilli. Stay tuned for next week’s post!